Blogging has taken a back seat lately but I can’t forget to blog about an important milestone- Mason’s Fourth Birthday on March 11th! 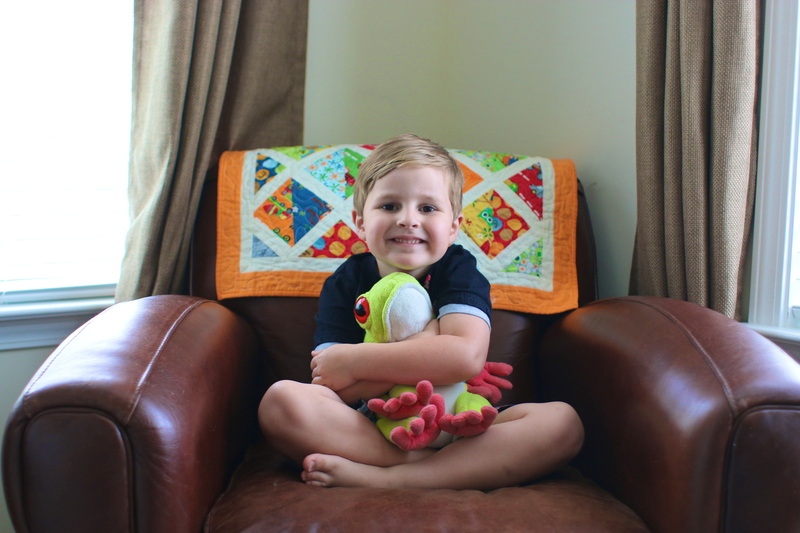 Here are a few things about four year old Mason! 11. What’s your favorite thing you like to do with Mommy and Daddy? Build a HUGE HUGE lego city! To say that Mason is obsessed with Legos is an understatement. The kid lives and breathes legos! He also still likes big trucks, and leapfrog (his stuffed animal he sleeps with and the educational video) but Legos take the cake for the most played with! We really wanted to do a party at Lego Land, but it was just rediculously expensive and it had a minimum of 10 kids that had to attend that had to be paid for in full in order to fulfill the reservation. So instead, we decided to take him to make a family trip out of Legoland and the do a small lego themed party at home. Everyone had a great time at Legoland and there were lots of activities for everyone! The kids loved the rides, the legos building opportunities, the 3D movie, the huge play area, the huge lego city that included a miniature version of major landmarks in and throughout Atlanta. It was so fun! Even though Mason is very outgoing, and one of the most talkative of our kids, he also is pretty sensitive, and can get overwhelmed with a big crowd. So, we tried to keep the friends to a minimum so that he could enjoy just having a good time instead of feeling overwhelmed. I had two lego building areas where the kids could let their imaginations run wild. The kids had a great time with building and showing their new masterpieces to their buddies. Then we went upstairs for a few organized activities. Mason also loves music, so we decided to incorporate his favorite songs “Shaky Egg” (with lego filled Eggs) to sing and dance to. Then we played the song “We Are the Dinosaurs” as we grouped them into two teams and they stomped around holding small spoons of legos to carefully dump into the bins. The kids seemed to really have a nice time! We looked high and low for a reasonable Lego cake, and opted to do a “Curious George” cake, minus the Curious George toy since the colors were very lego, and we added our own legos on top! Mason loved it! We had a really nice time celebrating with family and friends! Another year older, and another reason to celebrate!